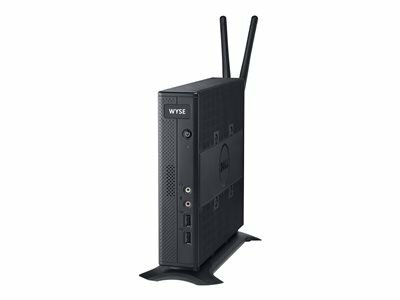 Dell Wyse 7010 - Thin client - DTS - 1 x G-T56N 1.65 GHz - RAM 4 GB - flash 16 GB - Radeon HD 6320 - GigE - Win Embedded Standard 7 - Monitor : noneThe Wyse 7000 series thin client is for users that demand more from their virtual desktop environments, featuring all the security and management benefits of cloud clients. This virtual desktop endpoint features single, dual and quad-core AMD G-Series APUs, plus uncompromising performance with fast, flexible user connectivity and outstanding energy efficiency. It supports Windows virtual desktop and cloud applications with rich content creation and consumption, HD video, unified communications and 3D graphics. If you have any questions about this product by ScotchBlue, contact us by completing and submitting the form below. If you are looking for a specif part number, please include it with your message.